Nokia is expected to announce Nokia Asha 502 and Nokia Asha 503 at Nokia world in Abu Dhabi tomorrow and meanwhile company has introduced a Diwali offer on the predecessor Nokia Asha 501(Full Review) which still remains one of the most popular phones around the range of 5000 INR. Under this offer Nokia will provide you with free insurance with purchase of Nokia Asha 501 which will safeguard you against risks of mobile handset loss and damage. This includes thefts, burglary, malicious acts, riots among others, as well as damage that is beyond the purview of the consumer’s standard warranty. 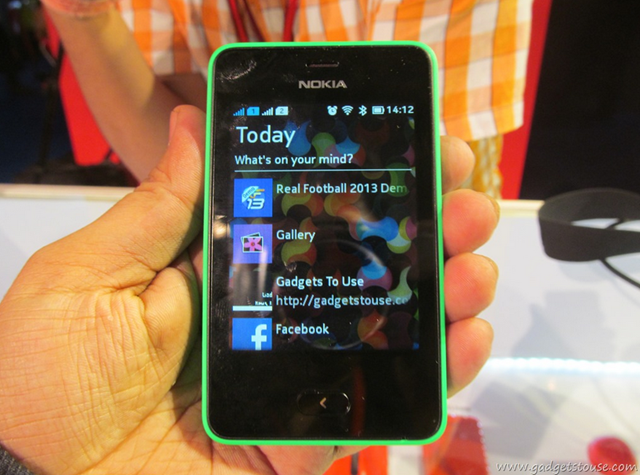 Nokia Asha 501 has pretty good build quality and sports a matte finish shell. It is a durable phone which features 3 inch display with 133 pixels per inches. Internal storage is 128 MB out of which 64 MB is available at the users end. In our time with the device the battery lasted 2 days which is excellent performance. The phone supports various Indian languages as well. The back camera is of 3.15 MP which won’t give you many details. Swipe unlocks the phone, closes apps and is used to shift between two screens: ‘Home’ and ‘Fastlane’. Fast lane is the second screen which shows all recent apps you used on phone and also actions you performed. Fastlane allows people to post directly from within Fastlane on social networking sites like Facebook and Twitter. The Insurance to the consumer shall be provided by New India Assurance Company Limited and will be administered by Universal Insurance Brokers Services Private Limited (UIBSPL). This offer is valid only till 15 November 2013 on purchase of Nokia Asha 501 priced at Rs. 5,199.